There are two things you're highly likely to find in a fraternity member's dorm room: a big pile of clothes on the floor and at least one hoodie near the top. 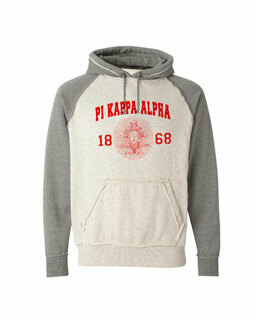 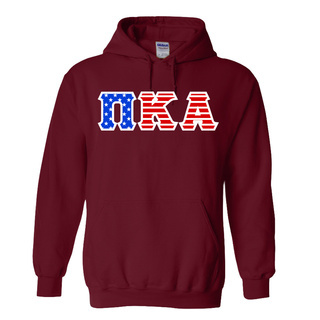 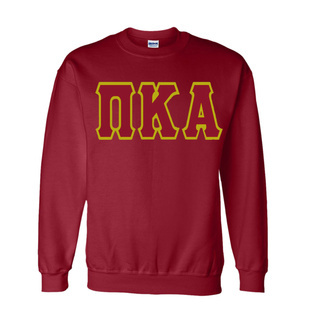 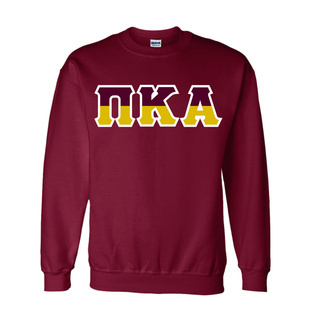 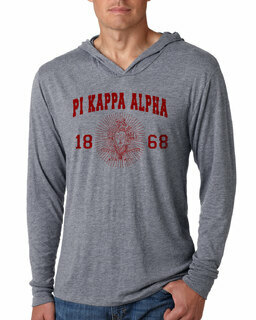 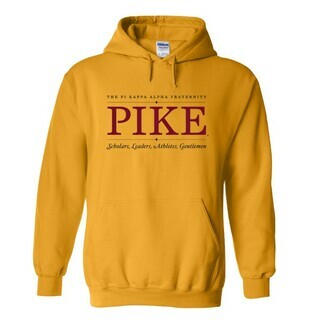 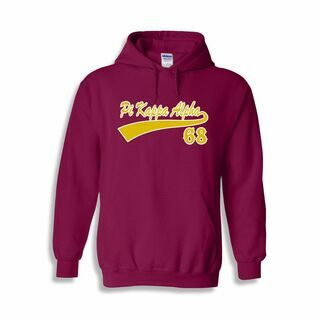 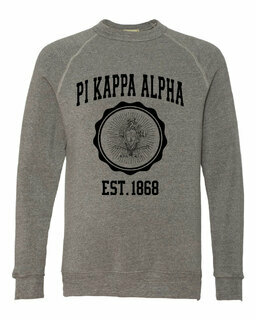 Give him something new to wear from this diverse collection of Pi Kappa Alpha Sweatshirts. The Lettered Hooded Sweatshirt will probably become like a "second skin" of sorts as much as you'll want to wear it inside and outside of your dorm in the fall season. 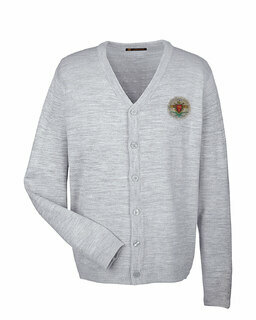 It's both sporty and practical, giving you a viable substitute for a jacket or coat in breezy weather. 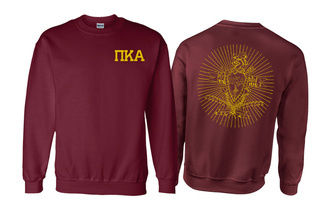 It comes with group colors as shown (garnet red with a gold border) and an option to add a Pike coat of arms to the sleeve. 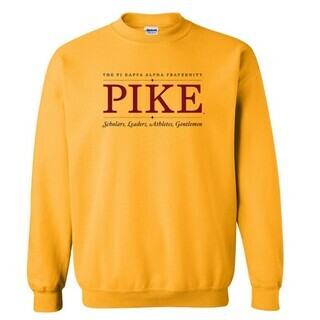 The fall season is tricky because it can be hot one day and then there's a chill in the air the next. The Flag Patch Zippered Sweatshirt is a good zip-up pullover to have for this season. 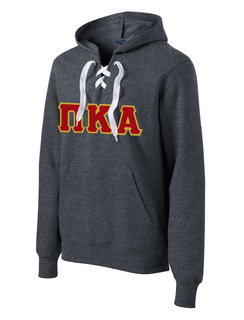 It's light enough to be tolerable in warmer temperatures, yet it provides moderate cold-weather protection. 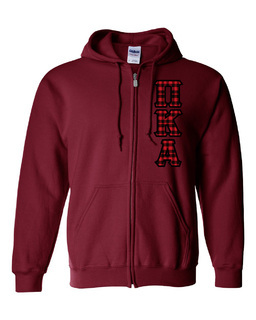 Colors for this sweatshirt-slash-jacket include red, black and dark gray. 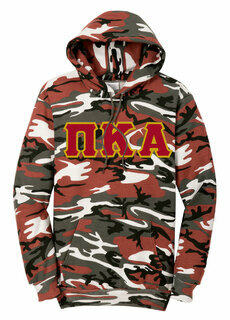 Greek Gear is serious when it comes to clothing and merchandise for fraternities and sororities. Free up some cash in your back-to-school budget to order new Pi Kappa Alpha Sweatshirts. Pi Kappa Alpha SweatshirtsThe Greatest Selection. Period.